Cake Fest brings together up to 50 teams of amateur and professional bakers to create Edinburgh buildings and locations out of cake. 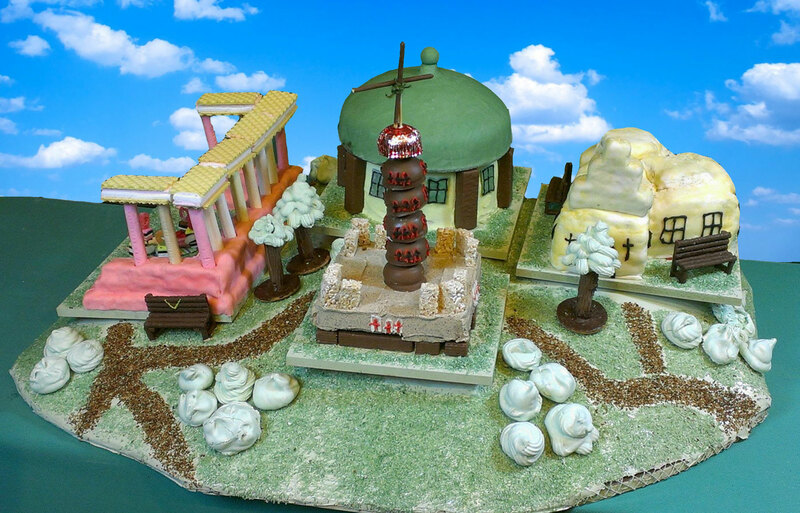 Teams deliver their cakes to the Royal Botanic Garden Edinburgh on the 21 June, Midsummer’s day and local artist Ben Hymers uses them to create a spectacular 60m2 edible cake map of the city. Audiences witness the map being built whilst exploring a curated food producers market showcasing Scottish food and drink and street food stalls from some of the best local independent restaurants, accompanied by live music and family entertainment. On completion the cakes are shared with everyone.